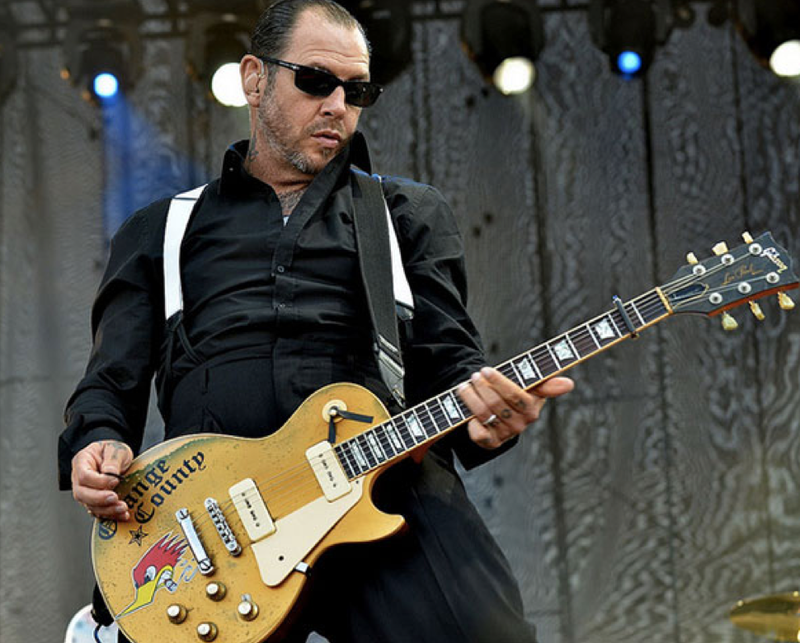 Mike Ness of Social Distortion says: "My main guitar that I use on stage and recording is a 1976 Gibson Goldtop Deluxe. When I got that guitar I took the humbuckers out and tossed them immediately into the trashcan and replaced them with P-90s. 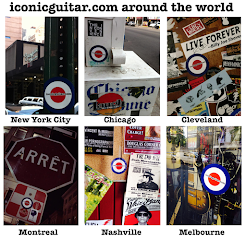 I learned that trick from Neil Young." "The rear is a Seymour Duncan P90 pickup that is made especially for me the way I like it. The guitar has a Maple neck and I use a capo. And something about that Goldtop with the Maple neck and a capo makes open chords ring out really nicely. The trick is to find one under 9 pounds which is hard to do."